The Owens of Woodhouse and the Owens of Condovor were of the same stock, and both families became extinct in the male line in the 18th. century. Robert Owen was sheriff in 1618 and his grandson, also Robert, in 1678. John, the last in the male line died in 1737. The estate passed under an entail of his daughter Sarah to her cousin William Mostyn, of Bryngwyn, M.P. for Montgomeryshire 1774-95. He assured the name of Owen and was grandfather of Arthur Mostyn Owen Sheriff in 1876. 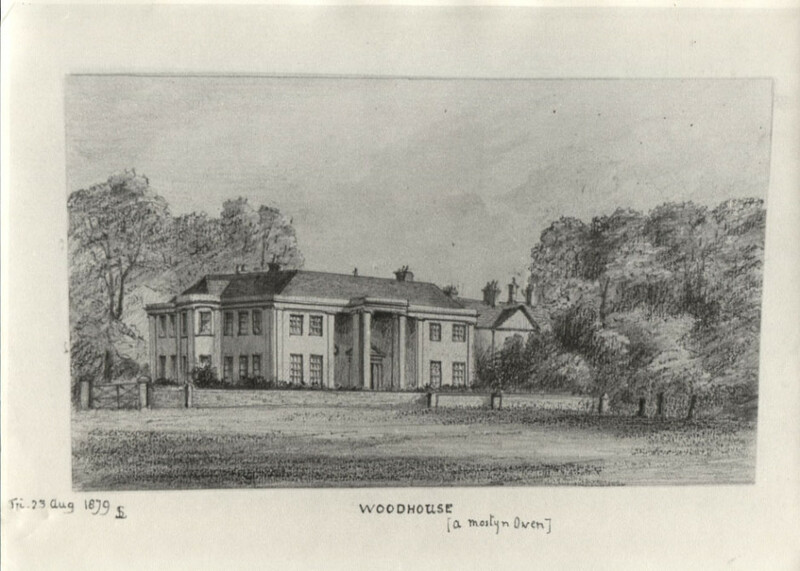 A plain ‘Georgian’ building has taken the place of the ‘Wood’ house of earlier days. There are here a number of family portraits, but the list having been lost, the names of the persons they represent, are no longer known.